714 to 1584 SQ – One bedrooms, two baths and two bedrooms three baths – Lock Off – Sleeps up to 8 people, depending on configuration – Gourmet kitchen – Three color TV’s – DVD – Washer and dryer accessible. Mix of one-bed room/two-bath and two- bedroom/two-bath suites. Each suite features living/dining area, a wet bar with microwave, dishwasher; refrigerator TVs, DVD player and a private patio. Accommodates up to four/six people. Three on-site resturants and lounges. 26,000 square-foot outdoor pool with 5 whirlpool spas, grill and lounge. Access to a 36-hole golf course designed by Jack Nicklaus. Sailing, boogie boarding, surfing, and snorkeling. 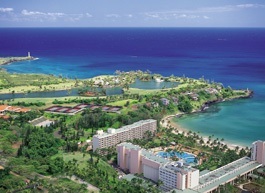 Full use of amenities and services of the Kauai Marriott Resort & Beach Club including access to beauty salon, extensive shopping, tennis courts, bell service, room service and other facilities at Kauai Lagoons. HTRI makes every effort to provide accurate information. However, you should confirm current availability of amenities that are important to you.